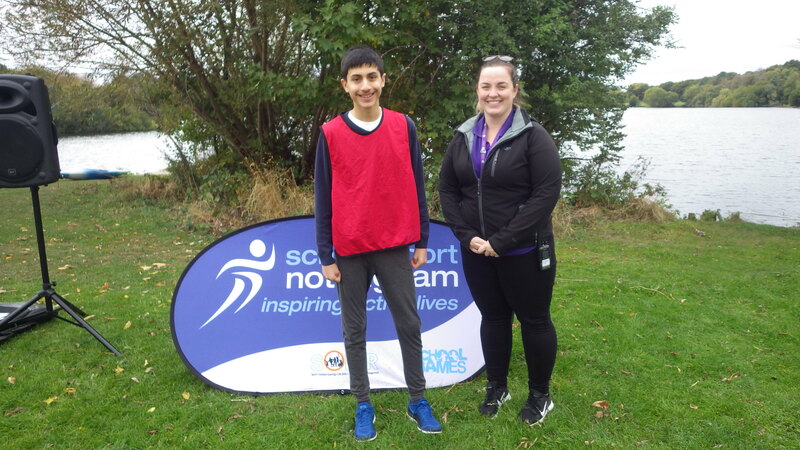 On the 3rd October nine students represented Sutherland House School in an inclusive cross country relay running event at Colwick Country Park. The team arrived at the park at 10:30am so that we could walk the route first, helping the students to become familiar with the course as well as leaving enough time to get warmed up. The team wore red vests and each student was accompanied on their relay lap by a member of the Sutherland House School staff team. 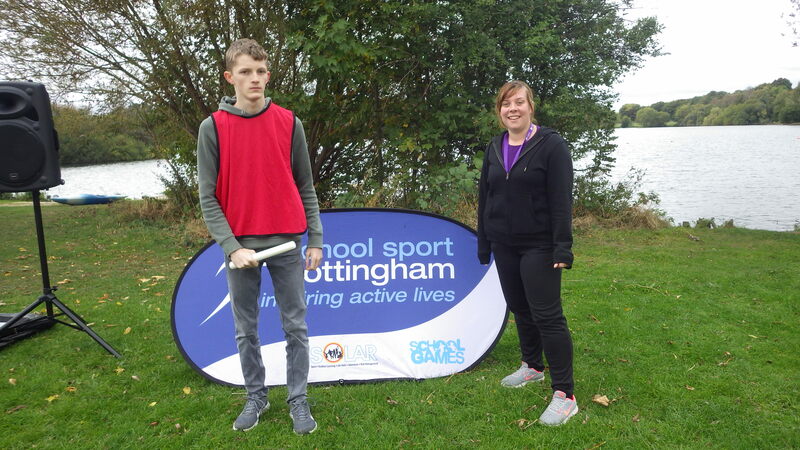 Each student ran around the picturesque Colwick Country Park lake, which was approximately 1500m in distance, with a baton that had to be passed onto the next runner in their team at the designated change over point. The final member of the team wore a vest signalling they were the fourth and final athlete with the time being recorded as they crossed the finish line. The event was a great success with all students fully participating and completing a lap. It was extremely positive to see Sutherland House School engaging with and competing against other schools from across the county. This is the second year Sutherland House School have entered a team into this event and the School is already looking forward to taking part in next years Cross Country Event.